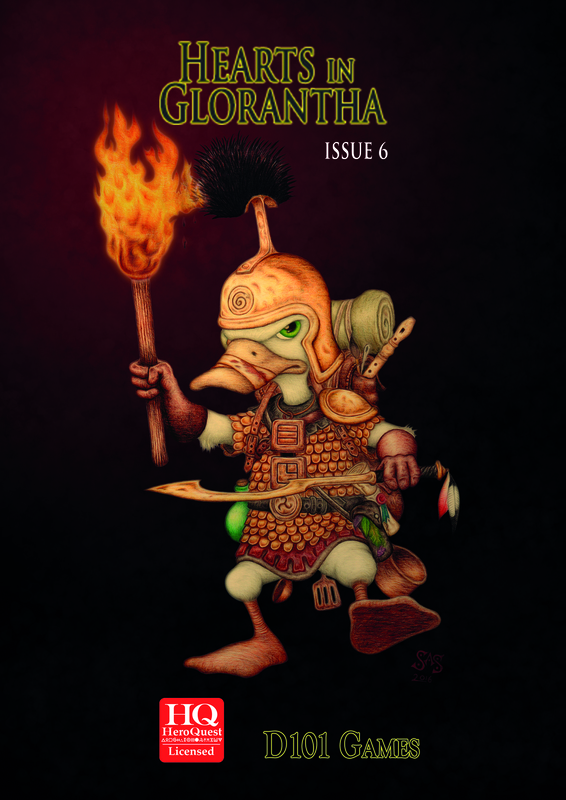 The long-awaited return of this Gloranthan Fanzine, featuring the 48 pages of Myths, Interviews, Articles, and Scenarios (systemless, HeroQuest and for RuneQuest 2). 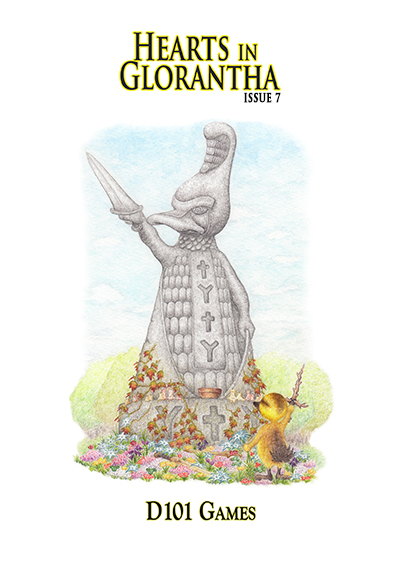 The long-awaited return of this Gloranthan Fanzine, featuring 48 pages of Myths, Interviews, Articles, and Scenarios (systemless, HeroQuest and for RuneQuest 2) in softcover A4 format. 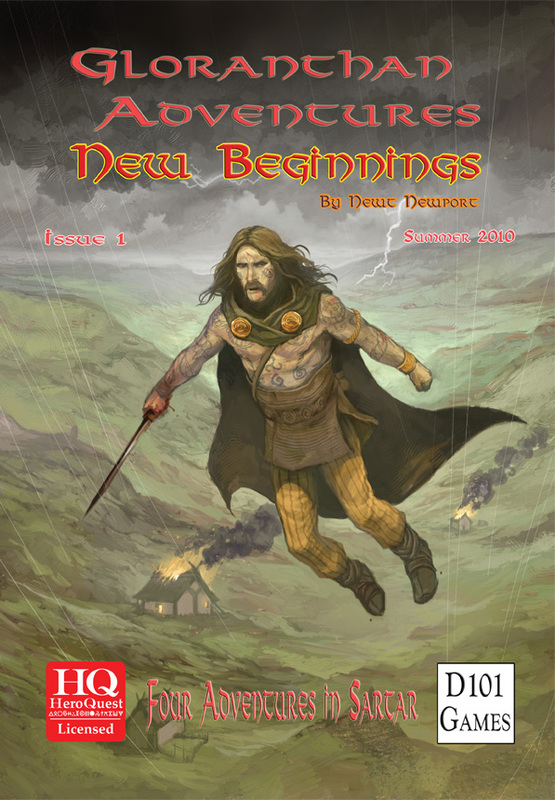 The Awakening is a system-less adventure by Scott Crowder, in which the adventurers find themselves in a dream of the Brown Dragon of Dragon Pass. They get to experience first hand some of the dramatic events of the Dragonkill War and work towards the reconciliation of Dragons with the Orlanthi. God Forgot, by Barry Blatt, gives setting information about these islands in Holy Country. It’s weird and odd, and none too comfortable. Go on, read the bit about the rather unsettling way the islanders use their ruler’s slightest movement as indications of his wishes. This piece reminds me how Glorantha gets wonderfully weird, yet has its own logic based on mythology and magic. Light and Death. In this HeroQuest adventure, Neil Smith takes us into the murky world of mystic illumination and bridge building in the Lunar Empire. Memories of RuneQuest 2. I never thought I’d see the day that RQ2 was re-published by Chaosium, but it’s here. In this article old hands shamelessly reminisce about the first Gloranthan RPG. Ian Cooper Interview. 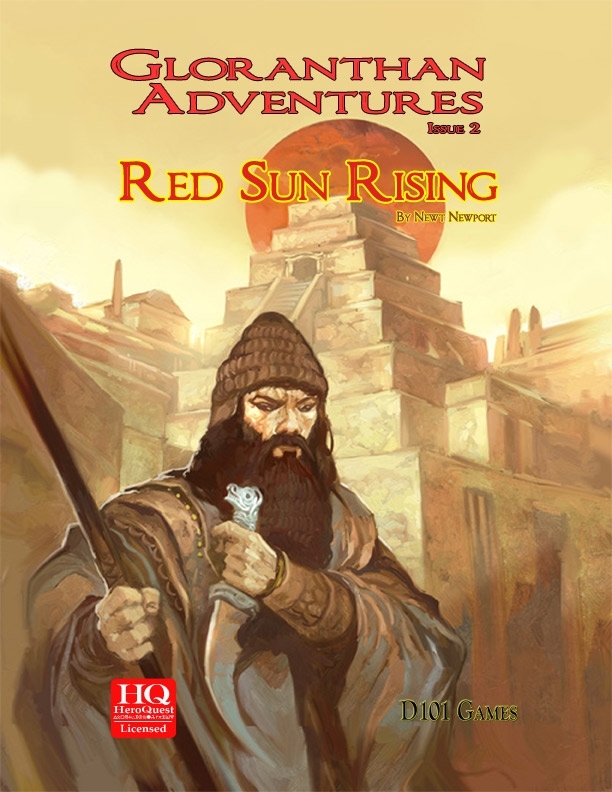 A Q&A with HeroQuest’s Line Editor which goes into his early work with Issaries and The Unspoken Word, as well as his current role and the recently released Red Cow books: The Coming Storm and The Eleven Lights. Why the Story is the Best is a whimsical yet poignant telling of an Orlanthi Myth by long time HiG contributor Stuart Mousir-Harrison. Duck Hill is my short old-school adventure for RuneQuest Classic. Don’t be put off by the fact it’s got ducks in it. Scattered throughout the magazine in pull out boxes are short scenario seeds written by me to inspire more weird and wonderful Gloranthan adventuring.